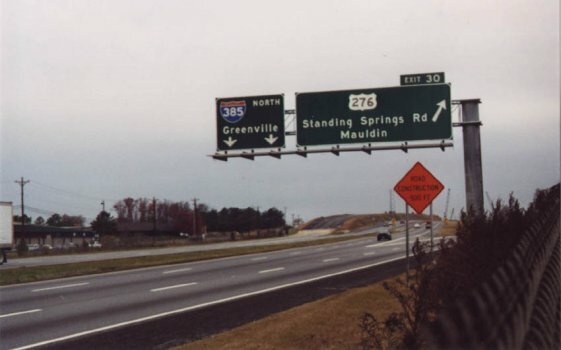 This is how the southern terminus looked prior to construction of the I-185 "Southern Connector" around Greenville, SC. Photo by Alex Nitzman. 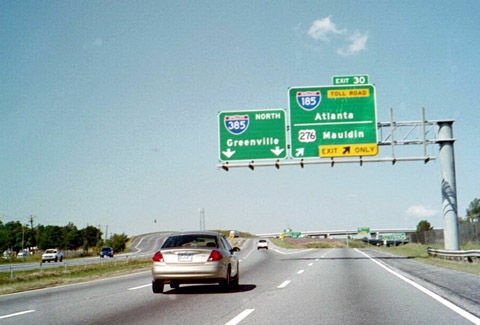 This is the view after I-185 opened. Photo by Alex Nitzman and Andy Field, taken October 2001. 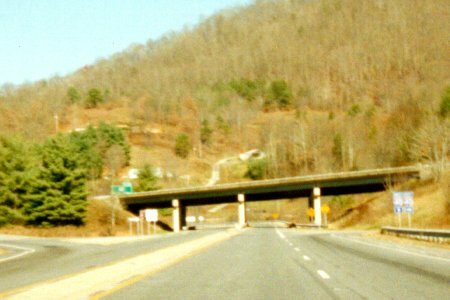 A view of the I-40 overpass at US 276's northern terminus. Photo by Adam Froehlig.